DCIM is a new class of software that gives data center operators the ability to run efficient data center operations. It provides the ability to better manage assets, change and capacity.Data center management DCIM software also enables power monitoring, environmental monitoring and energy management. It enables data center and facility managers to closely monitor and efficiently utilize their existing data center power infrastructure. Data center health maps, power analytics, cooling charts, and reports provide the tools to alert you to potential trouble and understand real-time power load, trends, and capacity at all levels of infrastructure. 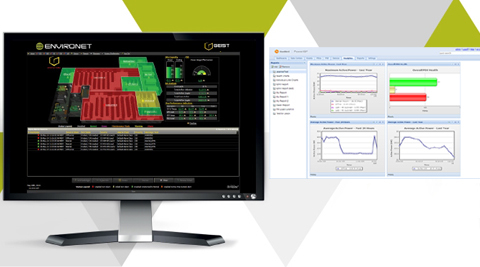 A configurable dashboard provides vendor agnostic views of power capacity, environmental health, and energy consumption. It also offers a visual mapping of your infrastructure and helps you to manage the physical provisioning of IT equipment, improve capacity planning, and keep track of data center space, power, data connectivity, and their relationships to IT equipment, applications, and services.